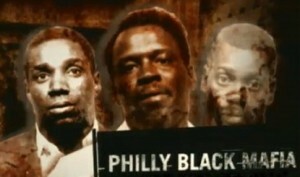 Black Entertainment Television (BET) produced the “Philly Black Mafia: ‘Do for Self'” episode of their wildly popular American Gangster program back in 2007, and it has been airing somewhat frequently on various networks (e.g., A&E) ever since. I mentioned the program in a broader context elsewhere, but have never commented specifically on this episode – which is based on my Black Brothers, Inc.: The Violent Rise and Fall of Philadelphia’s Black Mafia (Milo, 2005/2007). The producer, Henry Schipper, certainly did his homework, much of which never made it into the relatively brief show (covering 40 years in 40 minutes was quite a challenge for him and his colleagues, obviously). The final product is a great representation of the story, told by several of the people who lived the experience and thus know it best. On occasion, the program is streamed online, and I have embedded it below (for as long as the link remains active! ).